~*Today’s lunch consisted of soaking 150g of chicken breast cut into thick slices in a mixture of two egg whites then covering those slices with a mixture of oats and bread crumbs topped with Omega-3 sprinkle (sunflower seeds, linseeds, pumpkin seeds and sesame seeds) and baking them in the oven with a tablespoon of canola oil! Once cooked, I wrapped each one with half a slice of Fol Épi! 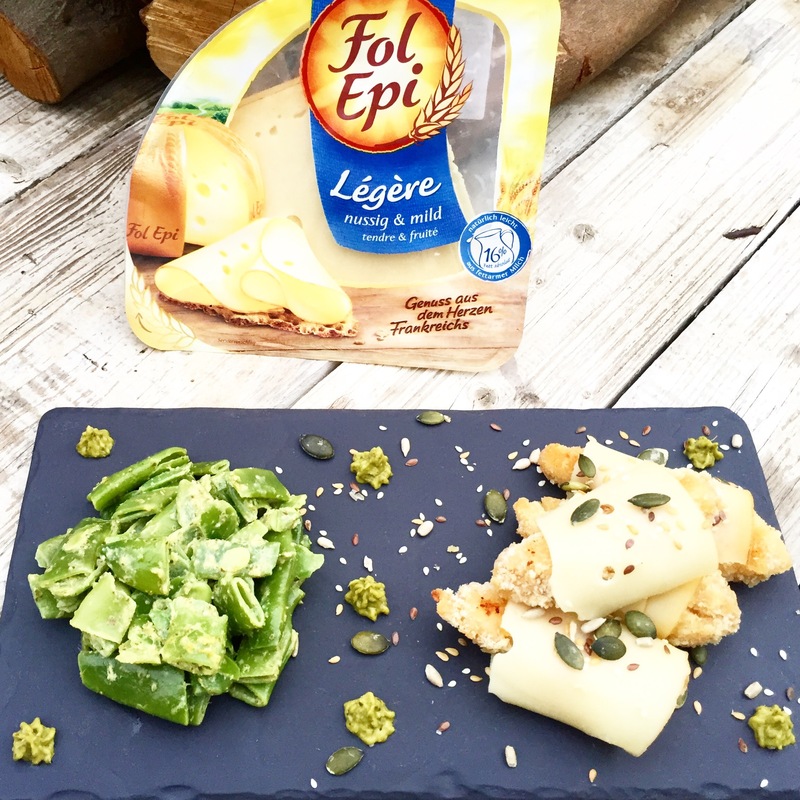 A delicious French cheese that’s low in fat and that contains 53 Calories per slice! On the side I served a a cup of steamed green beans that are loaded with fiber and vitamins that have been mixed with a teaspoon of homemade pesto Sauce!